Well it's almost that time of year again when Punxsutawney Phil will tell us how long winter will stick around. And I am pretty ready for it to be over! Groundhog Day also makes me think of the movie with the same name when Bill Murray gets stuck in an endless time loop and repeats the same exact day over and over again. So in theme with that movie I have collected several images of identical patterns & elements that are repeated over and over in various ways. There are many ways to combine different patterns, but when you use the same one repeated it creates rhythm, order, and definition. It also makes a strong statement so use sparingly! It's best to keep the other design elements simple so not to make the room chaotic. 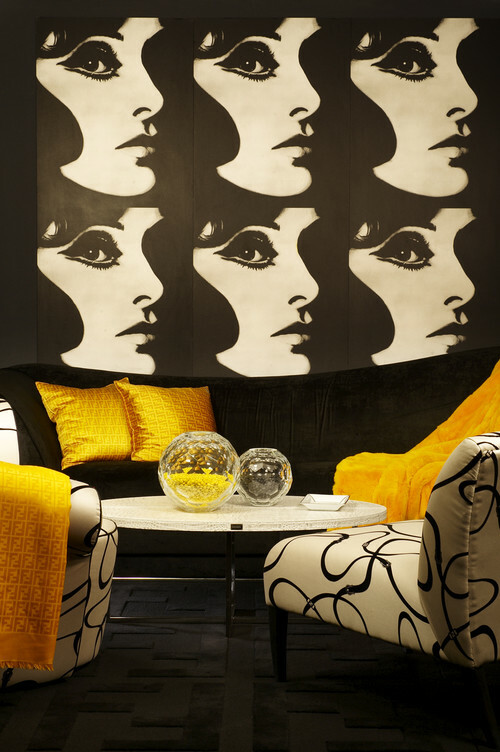 Here are some fun ideas to add pattern into your home. This pattern carries you all the way down. 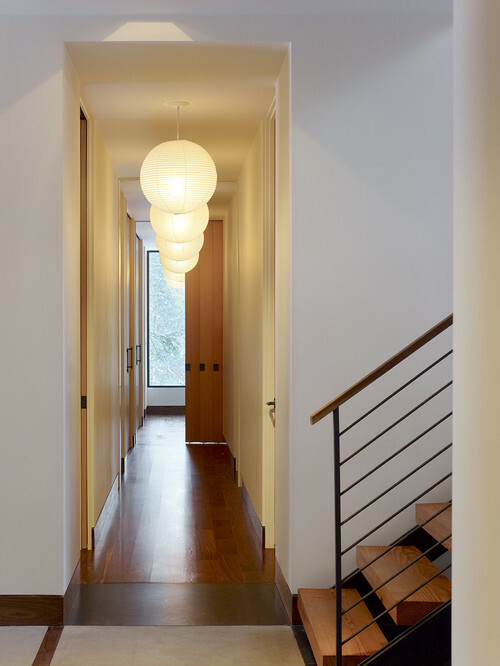 Traditional Staircase design by Other Metro Interior Designer Zoe Feldman Design, Inc.
Windows don't compete for attention when they're all dressed the same. Yikes Stripes! 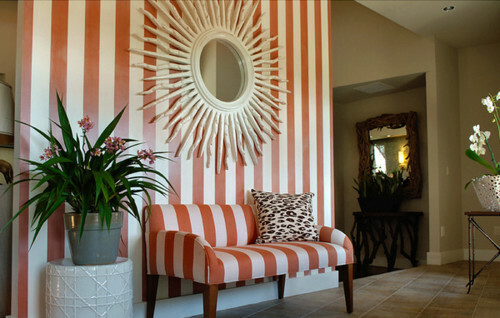 These continued from the wall onto the furniture in this fun foyer. A fun way to make the room repeat. 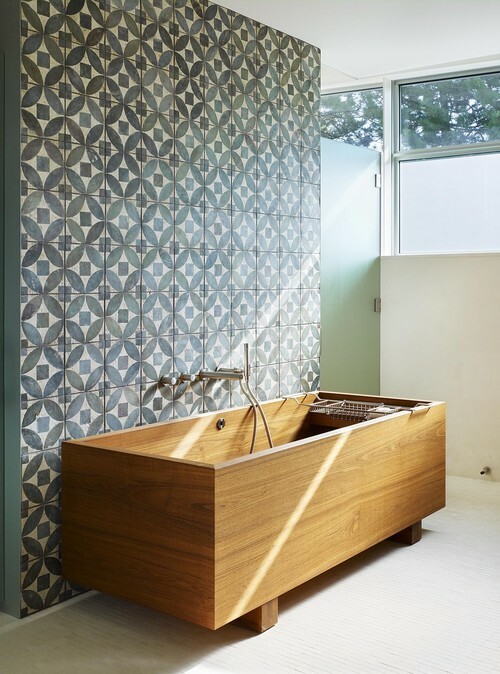 This bathroom backsplash mixes pattern with function. Why stop at a backsplash? 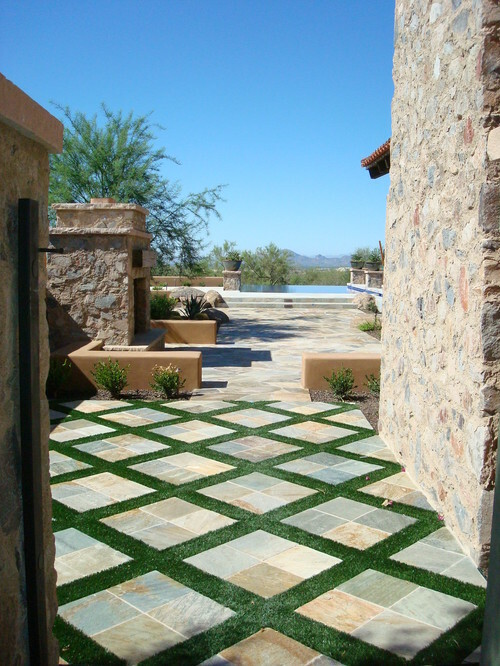 Popham Design makes these beautiful concrete tiles. 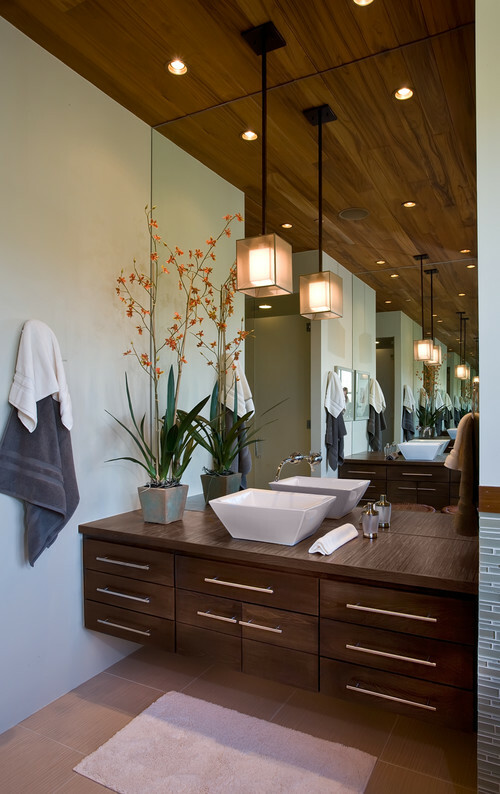 A circular mirror centered by mirrored sconces reflect pattern to avoid any pattern-less voids on the walls. 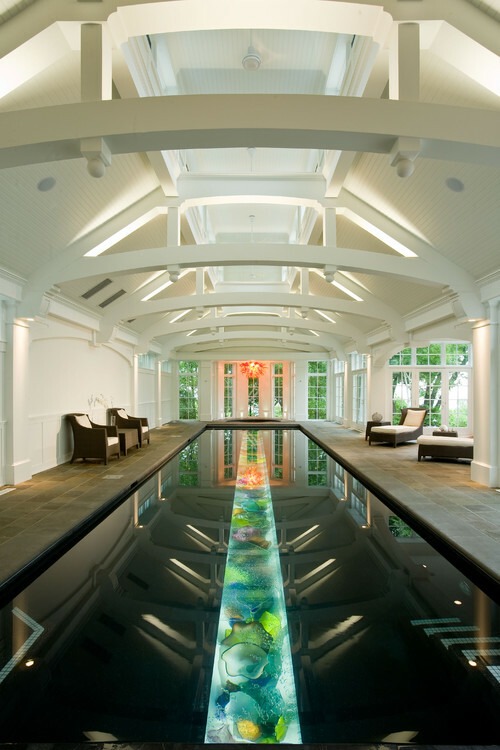 These arches create a tunnel effect when reflected over the pool. And don't miss that Chihuly chandelier at the end. Using the same exact photo over and over in a grouping - Andy Warhol style. 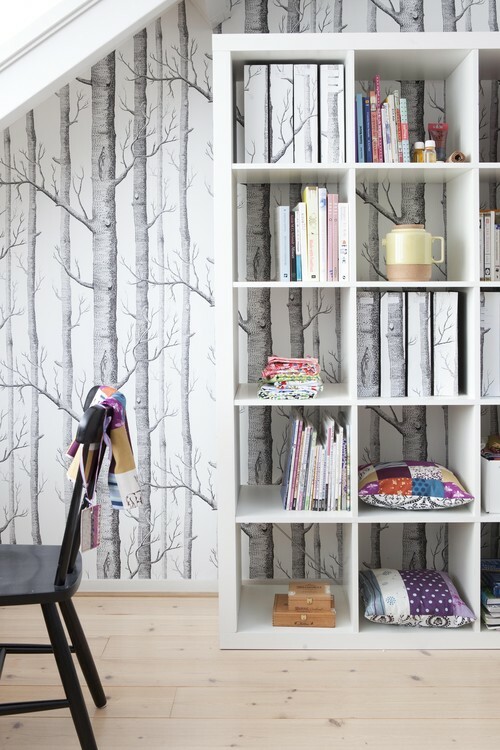 This pattern is even carried onto the binders on the shelf - how clever! This new product with pattern also caught my eye. 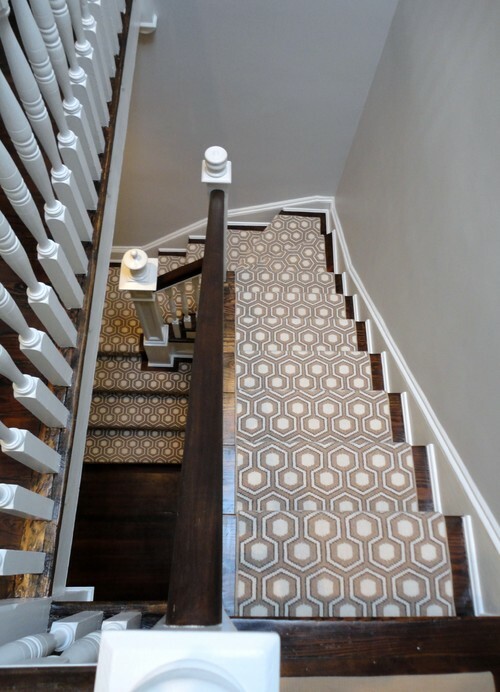 So what do you think of making a statement with a repeating pattern?? It could be a really fun way to make a statement! Also what is your vote on winter - will Phil have an answer we want to hear? ?